JM Curley on Temple Place in Boston, named after former Boston mayor James Michael Curley, is known for its quality cocktails and as a place where people in the industry hang out after hours. Following the motto of “Curley gets it done,” drinks concentrate on what matters most: flavor. But they know how to have a bit of fun in the process. The current cocktail menu features the Bittersweet Aloha, an example of what this bar can do. 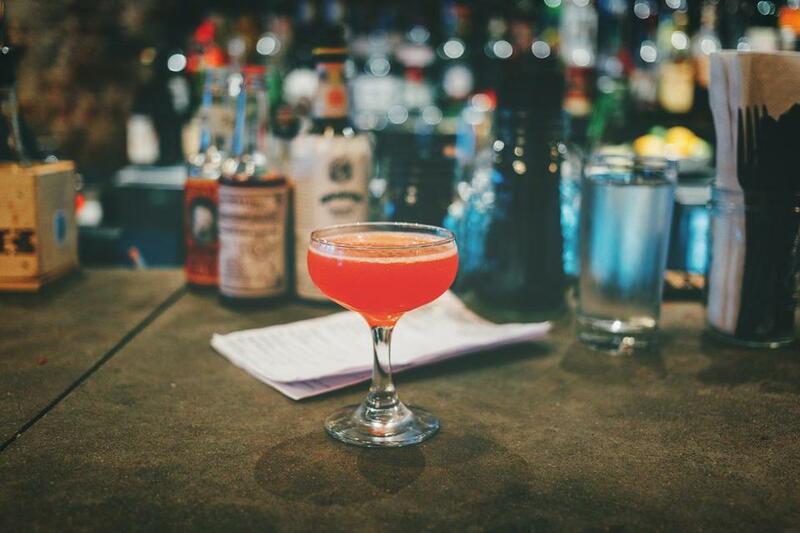 It’s a fusion of the classic Negroni, mixing gin, Campari, and the Italian aperitif Cocchi Americano, brought together with the addition of pineapple and lime. The result is new and refreshing. 1. In a cocktail shaker, combine the gin, Campari, Cocchi, pineapple juice, and lime juice. Add ice and shake well until chilled and diluted. 2. Double strain into a chilled cocktail glass.